Adam Hart researches social insect behaviour, runs the annual flying ant survey, and has developed a house spider app. 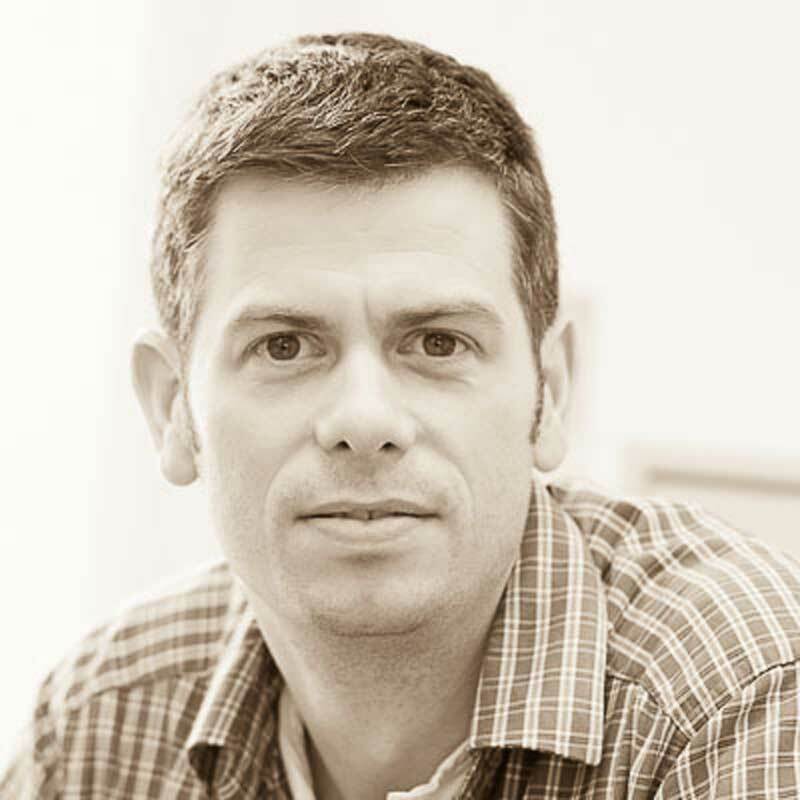 He presented Planet Ant and Hive Alive for the BBC and is a frequent presenter on BBC Radio 4, most recently investigating the world of animal personality for Radio 4's Frontiers series. 1. What are you reading at the moment? Be honest! I've just finished Carrying the Fire by Michael Collins - the third non-moon walking member of the Apollo 11. I've become a bit obsessed by the Mercury, Gemini and Apollo missions since reading The Right Stuff by Tom Wolfe at Christmas. 2. Has any book changed your life? Reading the Willard Price "Adventure" series as a child probably did more to solidify my interests in biology than anything else, so I guess given how my life has turned out you could say that they changed me. 3. Which science-themed books should we be reading? Anything and everything! We talk about inter-disciplinary science all the time but in reality what we mean is "making new connections between ideas". These connections can only arise if we know about different ideas! 4. What is it about bees that captured your interest? I got very interested in how social animals "work" when I was an undergraduate and I was looking for PhDs on social birds and mammals. I ended up in Sheffield straight after graduating and good fortune led to a few weeks work in the social insect lab there. It is pretty much impossible not to become fascinated with bees when they are literally all around you, and pretty soon I was doing a PhD in social organisation in ants and bees. 5. 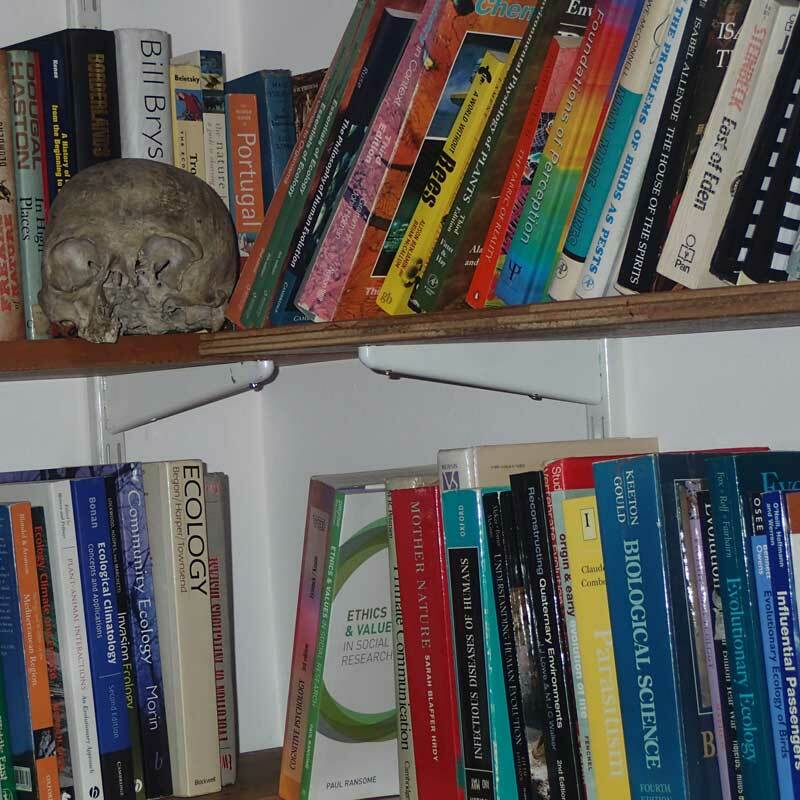 I’ve got to ask about the skull in your bookshelfie! Ah, yes Frank...I was going through some stuff when I first arrived here that was being pretty much chucked out. Some old and useless looking rock specimens of which we had 50 replicates, some moth eaten old museum specimens that were unidentifiable...anyway, as I walking out I suddenly had a thought that I should look more thoroughly and there at the bottom was a real human skull with some damage but clearly "modern" and I would guess around 100 years old. Someone had written along the side in small letters "Frank Zappa". I bagged him for my office and I must say I've become rather attached to him! See Adam speaking in What about the bees? at the 2015 Edinburgh International Science Festival.